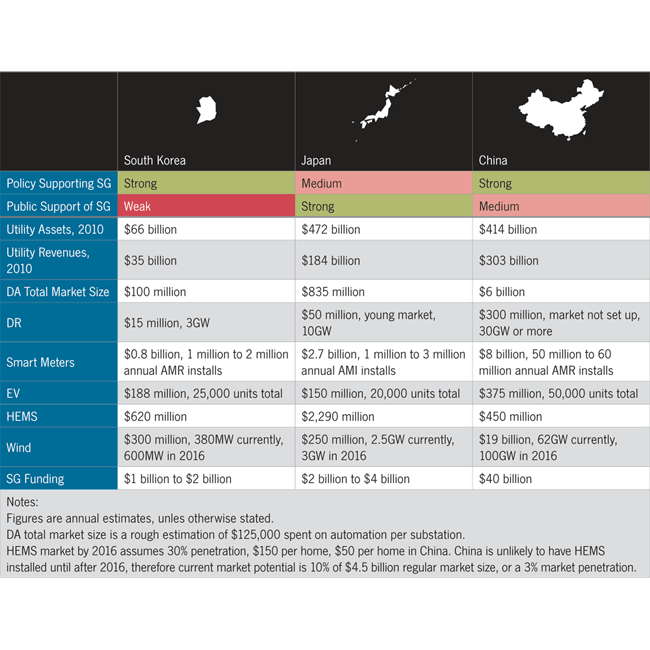 The cumulative smart grid technology markets of China, Japan, and South Korea are currently valued at nearly US$8.5 billion, with GTM Research forecasting that value to grow to $19 billion by 2016. China represents 70% of the Asia smart grid market, offering some of the broadest market opportunities to smart grid players in Asia. Japan and South Korea represent 20% and 10% respectively. While evolving rapidly, it is important to note that each market’s growth will be characterized by the specific needs of their utilities and existing grids. The vast majority of smart grid investment in China will center around transmission, distribution automation and automatic metering reading (AMR) to support a developing grid and robust renewables build-out. In Japan, the sunsetting of all of the country’s nuclear plants has created an acute need for demand response, home energy management and smart meter deployments. While in South Korea, the market is developing quite differently; for the country with the most reliable grid in the world, South Korea and its chaebols are looking to develop next-gen smart grid technologies across all segments primarily for global export. The GTM report identifies the leading strategies for addressing each of Asia’s smart grid markets, and analyzes the companies that are currently winning big. This list includes; ABB, Accenture, BPL Global, Echelon, Freescale, GE, Holley Metering, Moxa, RuggedCom, Siemens, State Grid Corporation of China, Wasion, XD Electric, XJ Group. 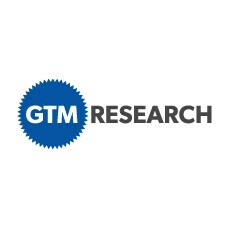 GTM Research, a Greentech Media company, provides critical and timely market analysis in the form of concise and long-form market research reports, monthly newsletters and strategic consulting services. We specialize in solar, smart grid and enterprise markets. Our analyst team combines diverse backgrounds in the solar, smart grid, energy, environmental, emerging technology, investment banking, information technology and strategic consulting sectors.